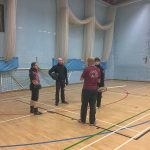 Last Monday night saw the addition of two new studenti after both Tom and Claire passed their safety test and risen from the rank of Candidati. 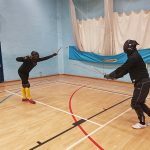 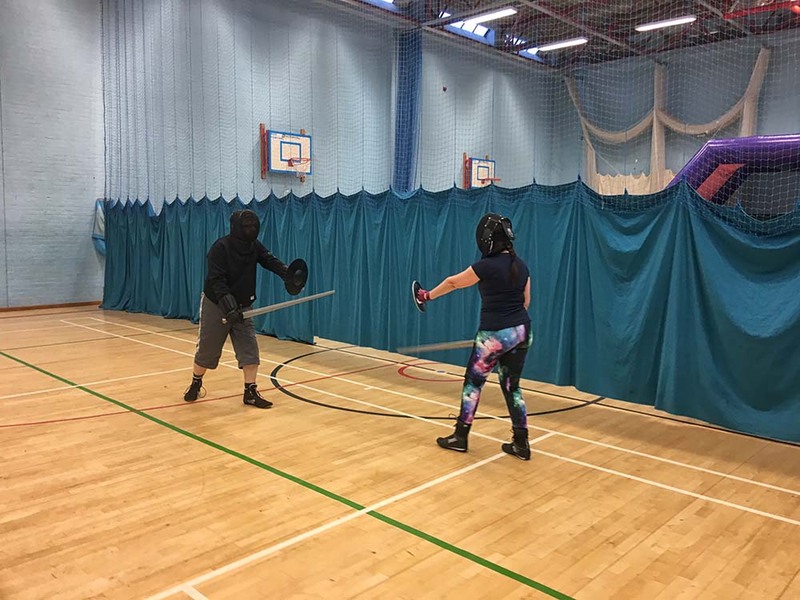 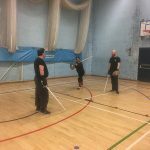 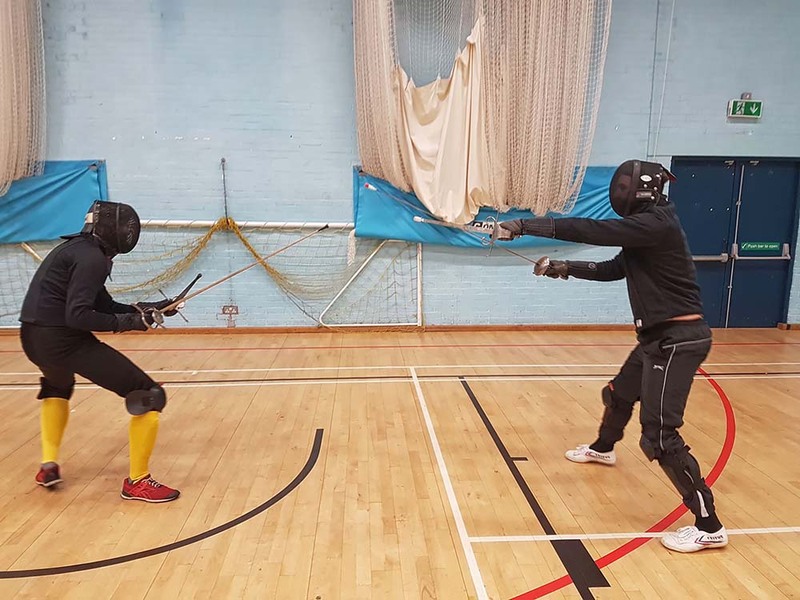 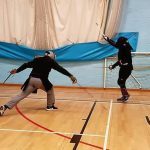 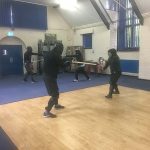 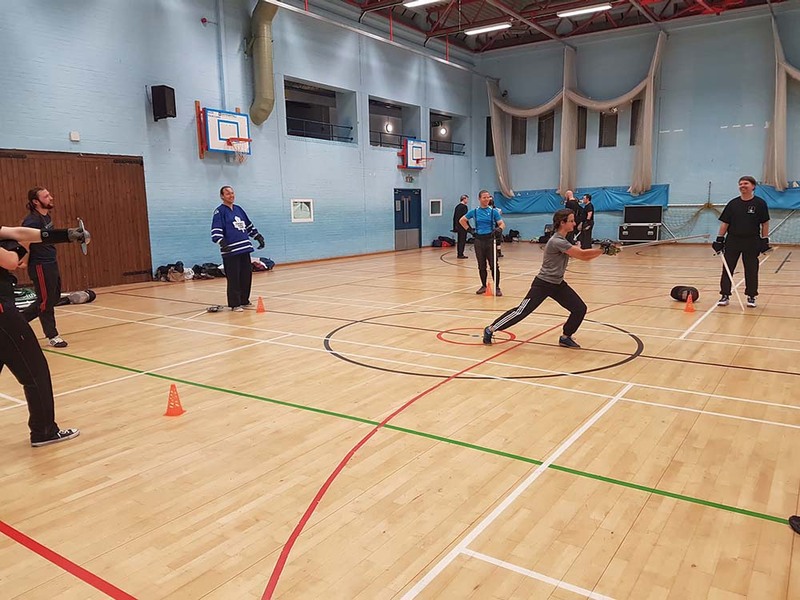 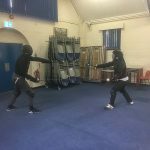 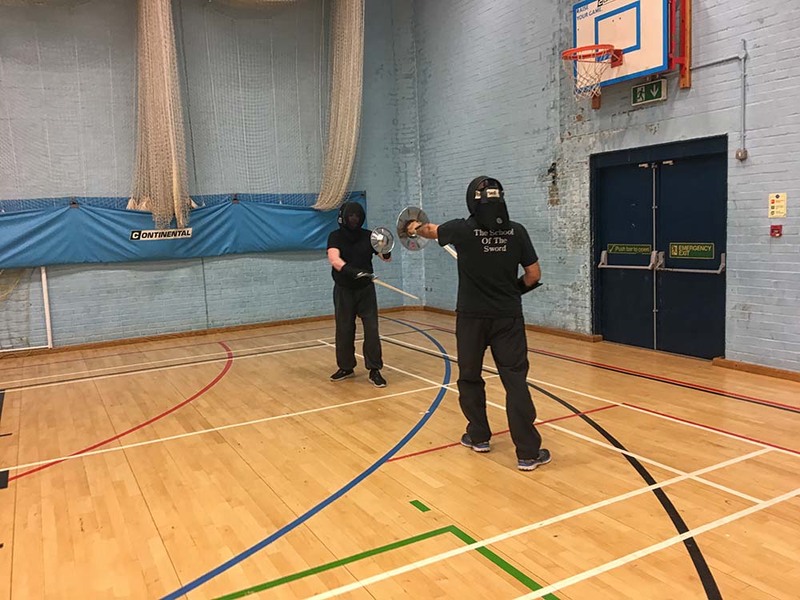 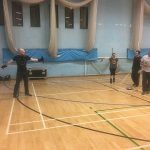 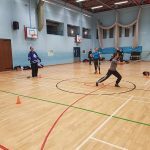 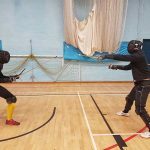 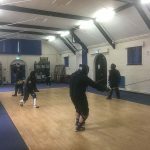 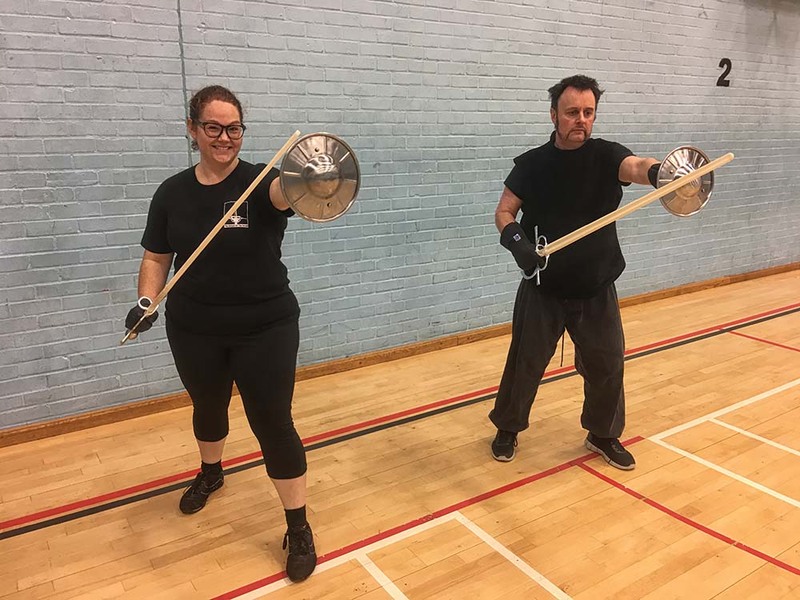 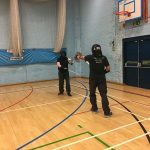 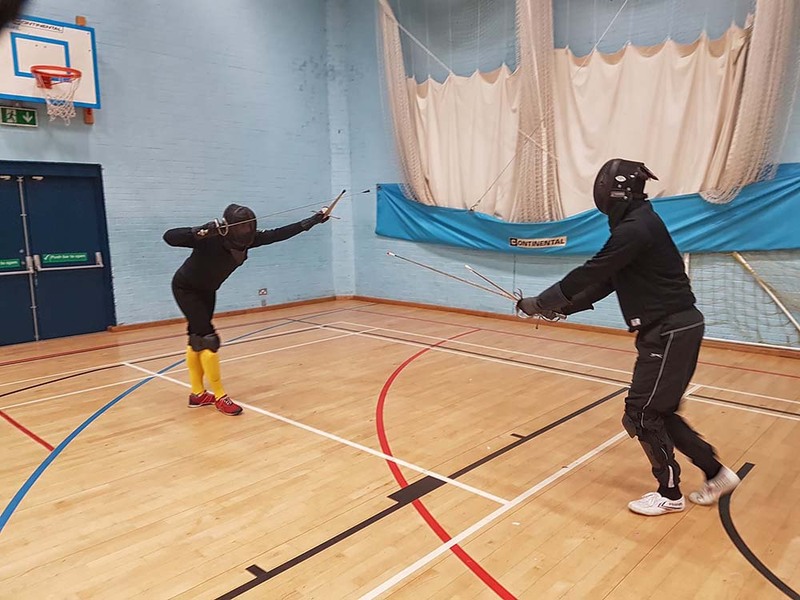 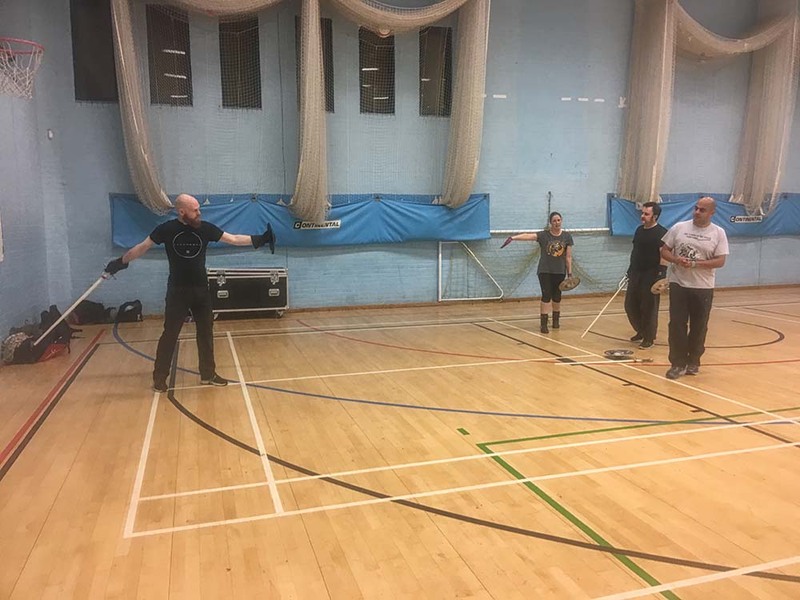 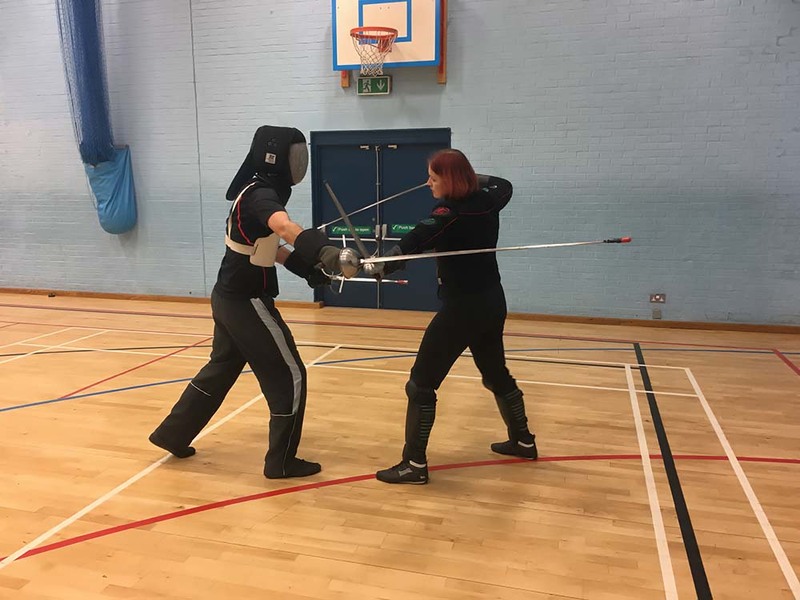 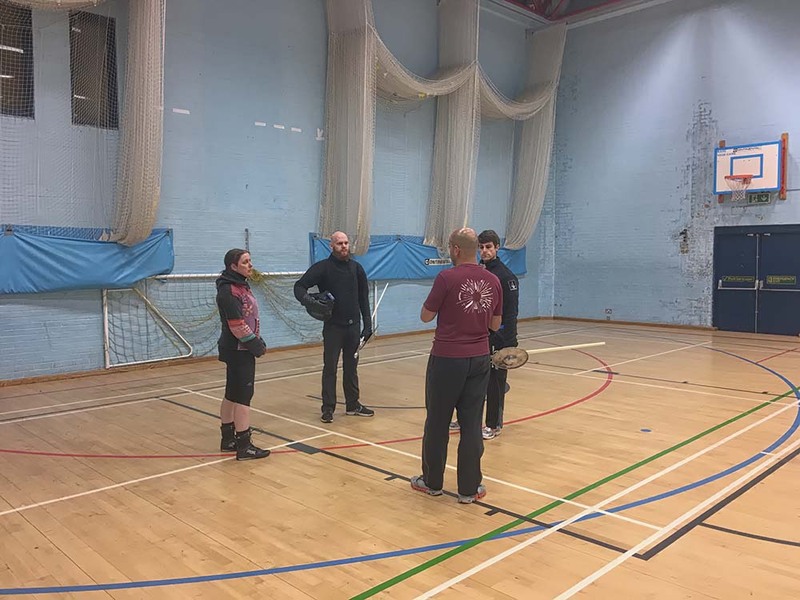 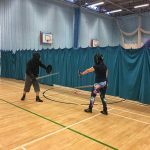 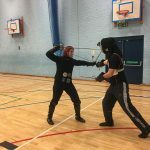 After many weeks of hard work learning, Tom & Clare have shown that they have understood the foundations of swordplay and are now ready to engage in a wider range of training as a Studente. 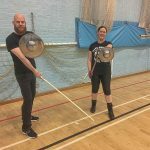 Congratulations to the pair of them. 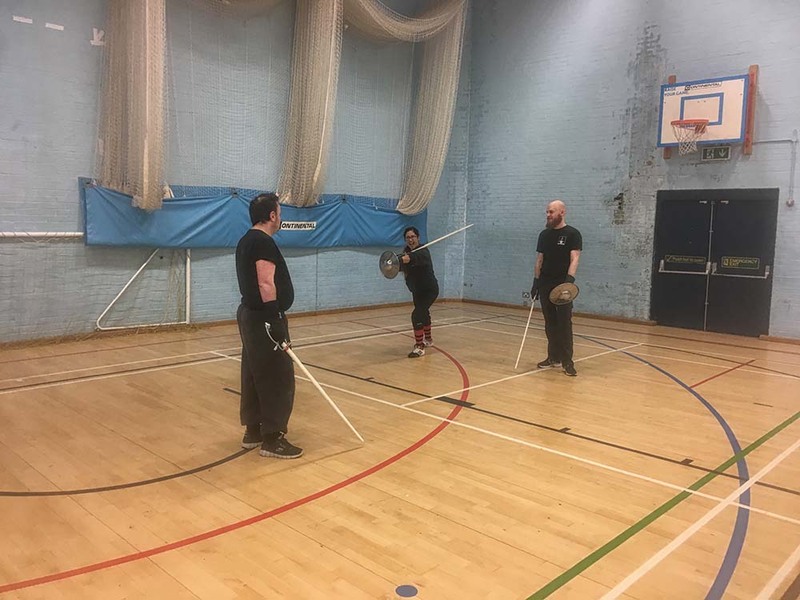 On Monday, our students gathered in Reading for our regular training session. 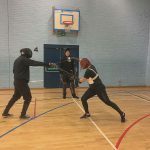 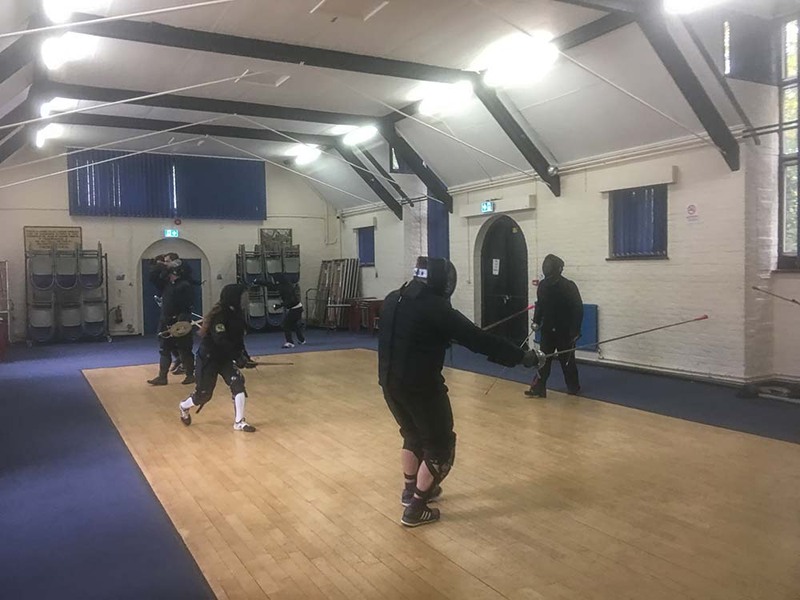 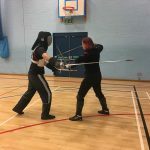 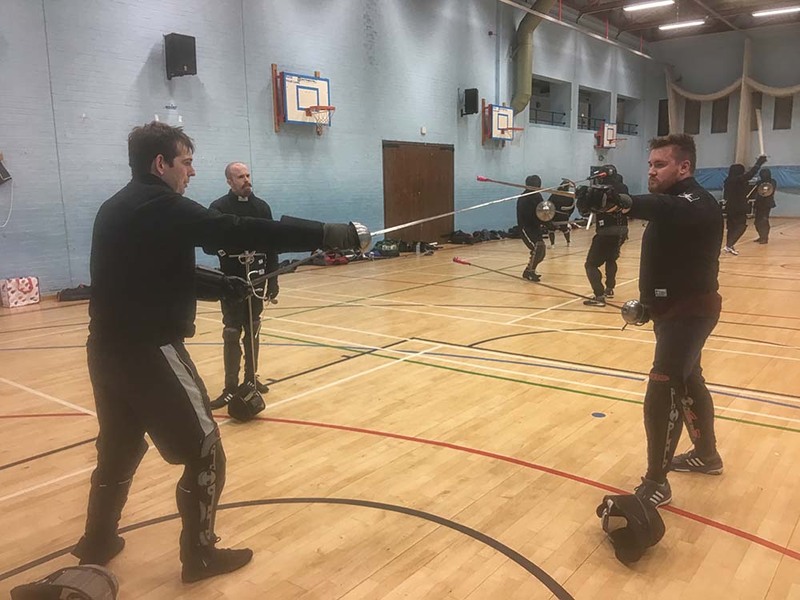 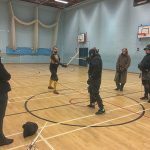 Emilia continued her work with the rapier group on guarding against cuts, Jay took the Bolognese group and Stewart worked with the students progressing towards their safety test. 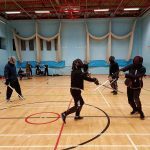 Sunday sparring was in Reading this past Sunday, with a good turnout of students. 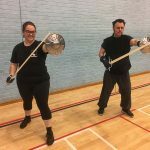 Jason and Louise are the latest of our students to pass their safety test and join the ranks of our Studenti. 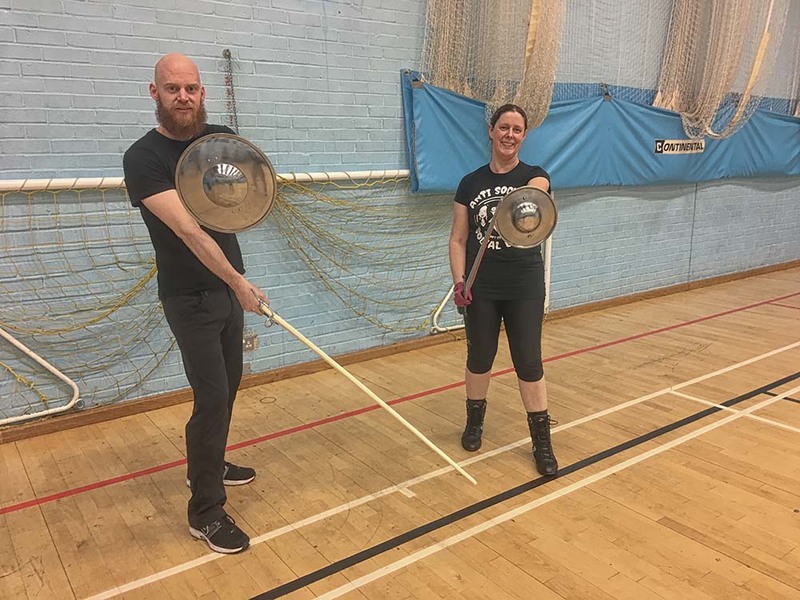 Jason and Louise will now be able to progress to taking part in our other training streams as well as full sparring. 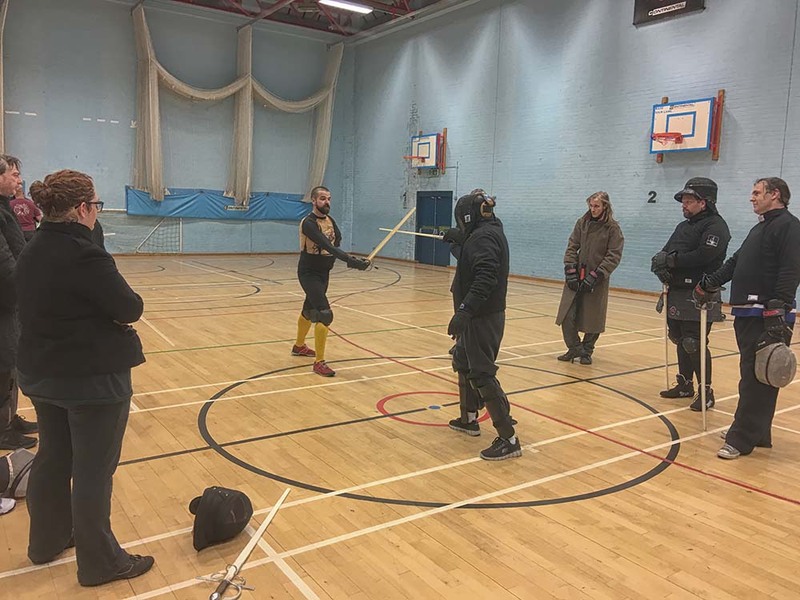 Our Reading students were joined by a guest instructor on Monday night. 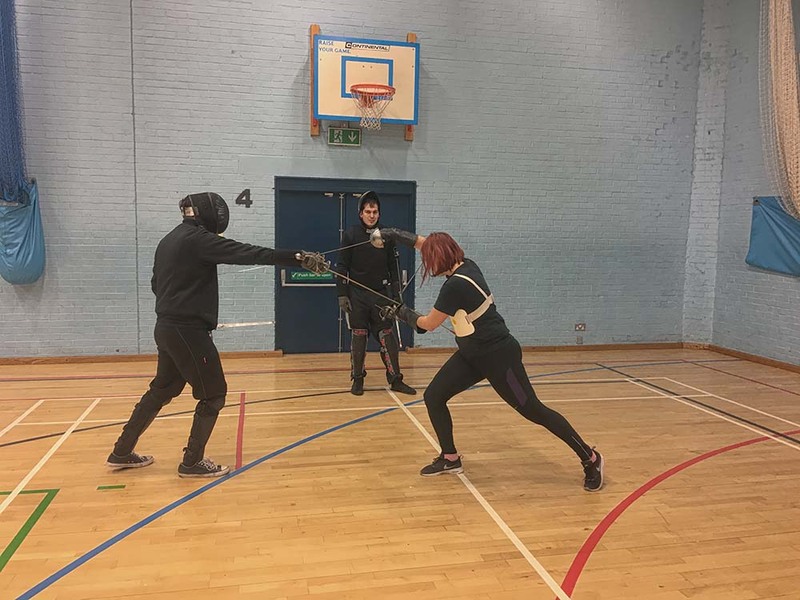 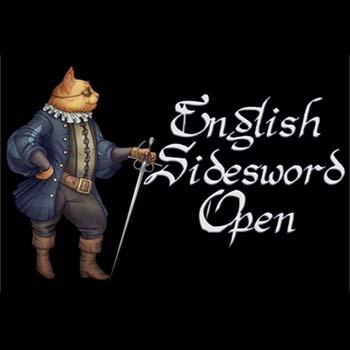 Emilia Skirmuntt took our rapier students through dealing with cuts. 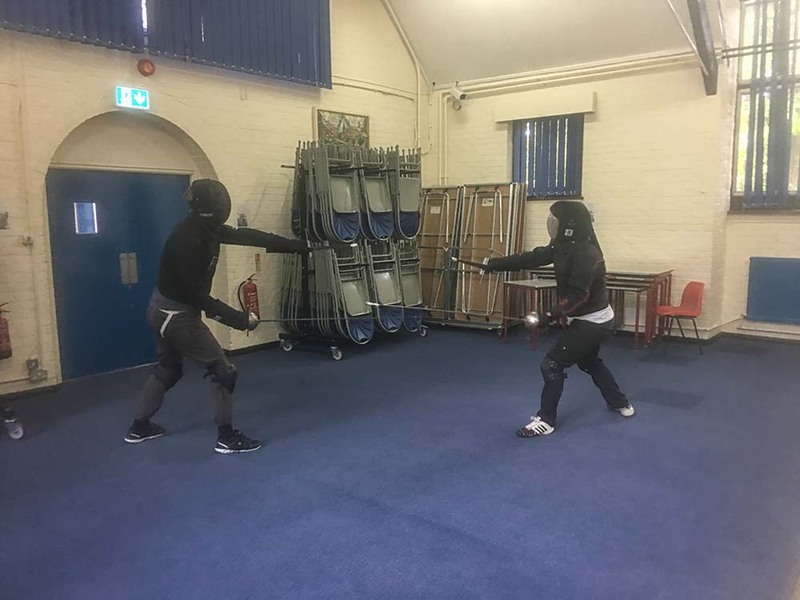 Meanwhile Stewart worked with the beginners working towards their safety test and Jay worked with the bolognese group. 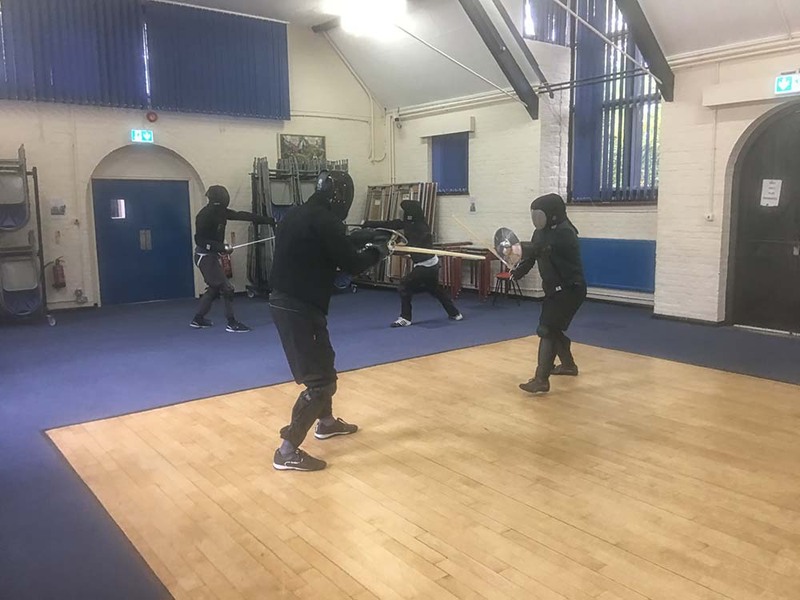 Stewart worked with the beginners progressing towards their safety test. 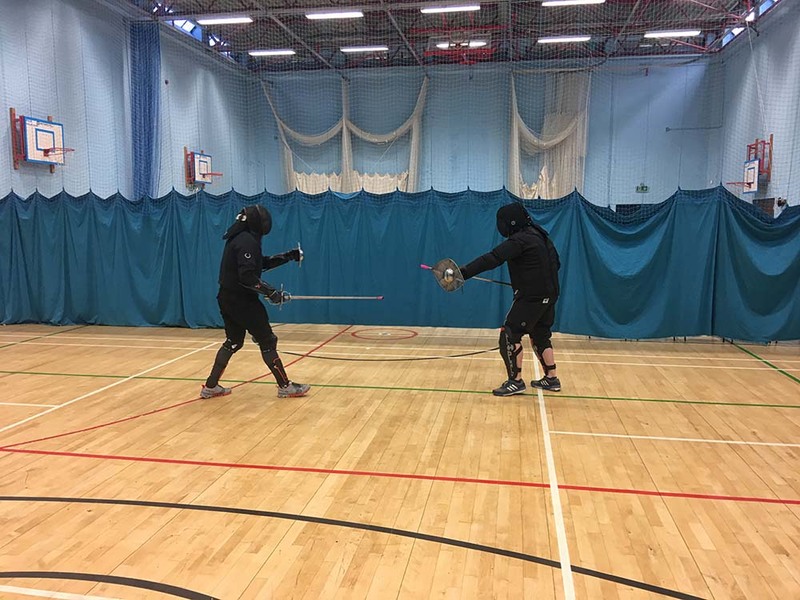 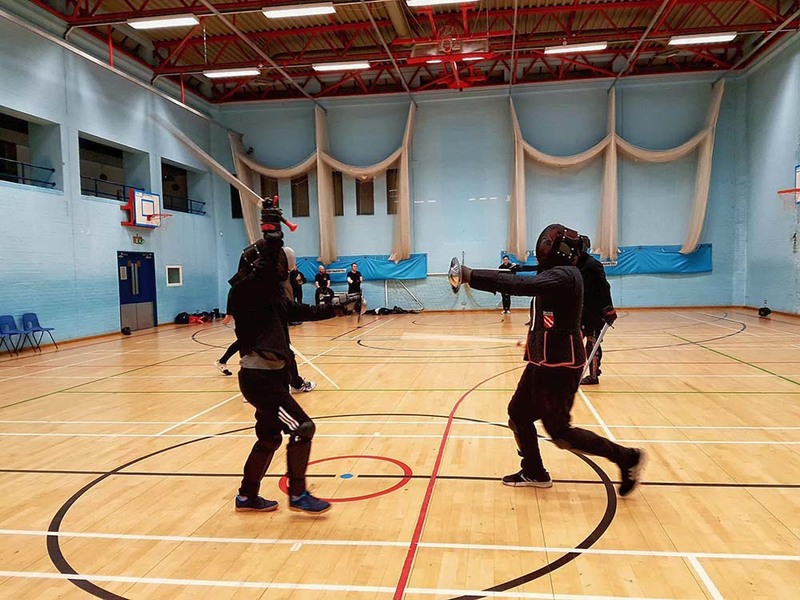 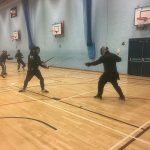 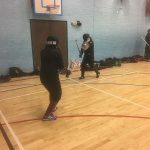 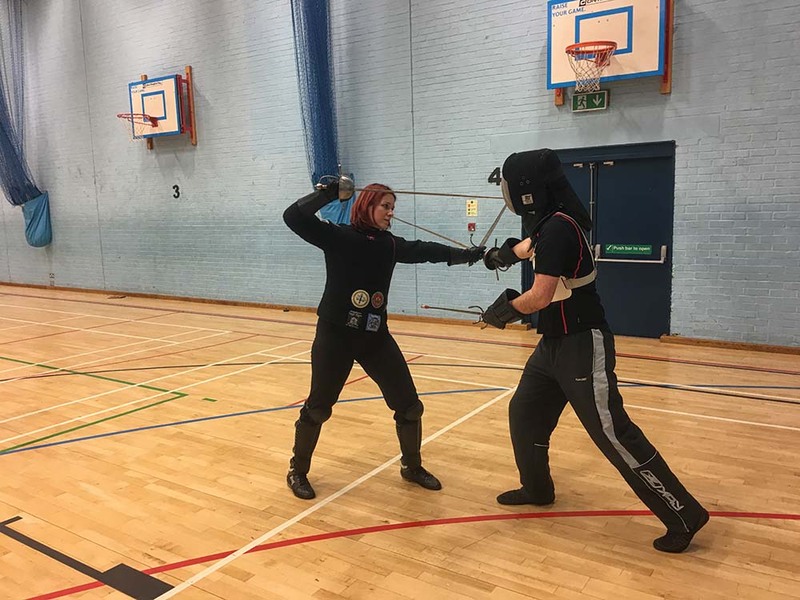 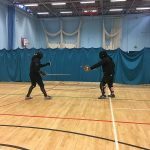 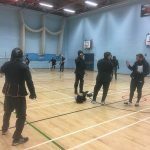 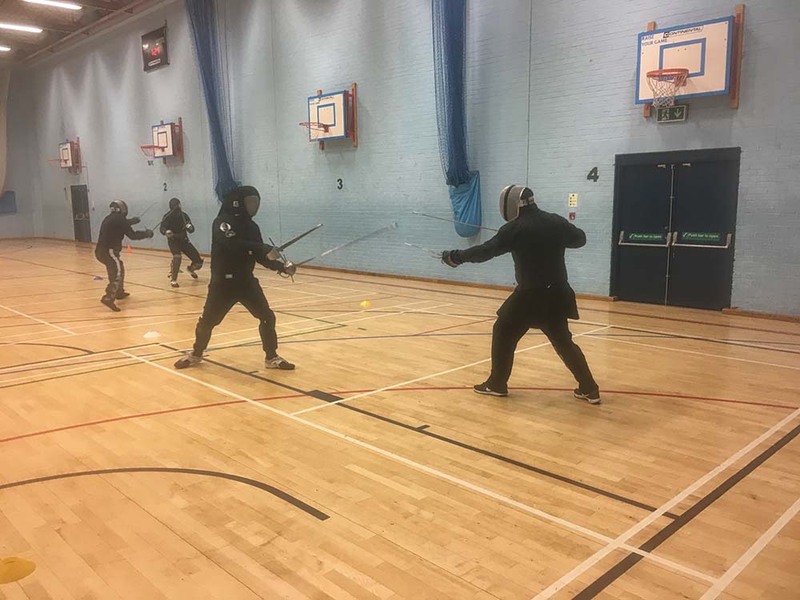 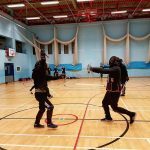 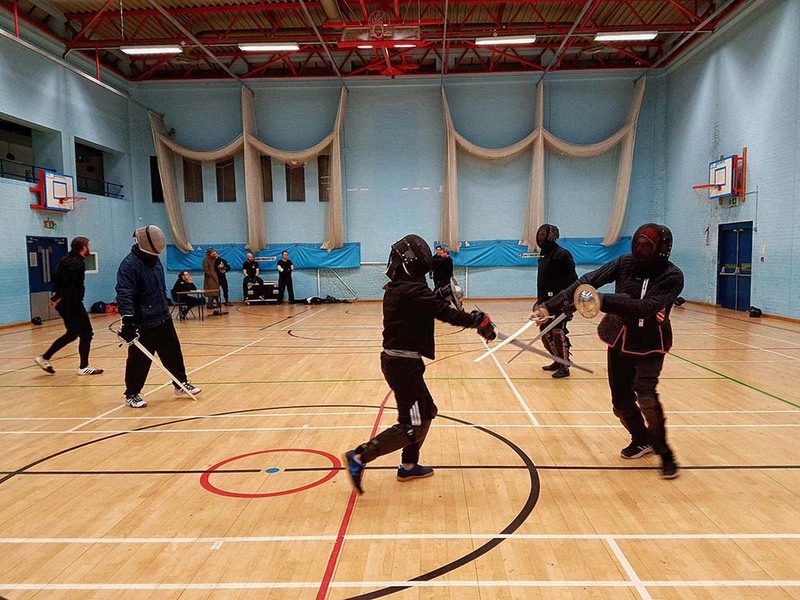 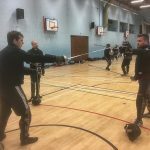 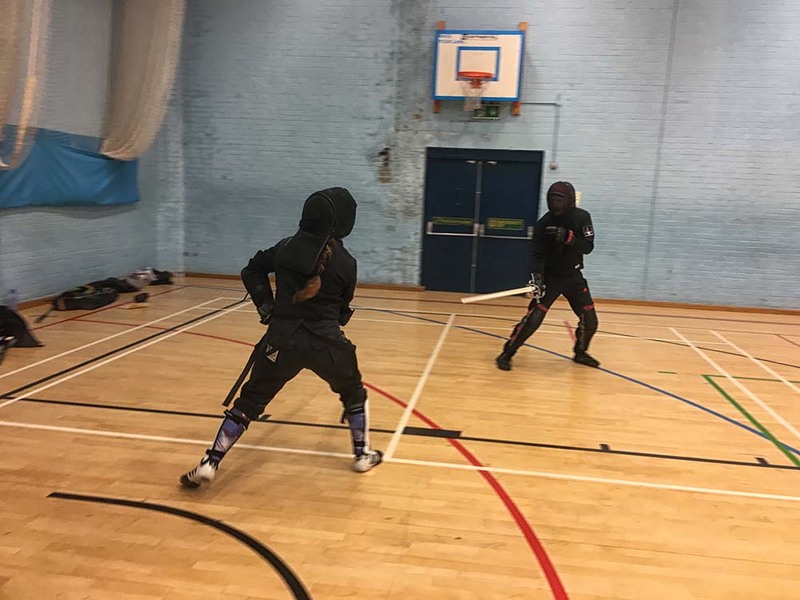 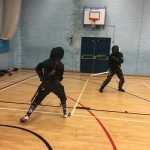 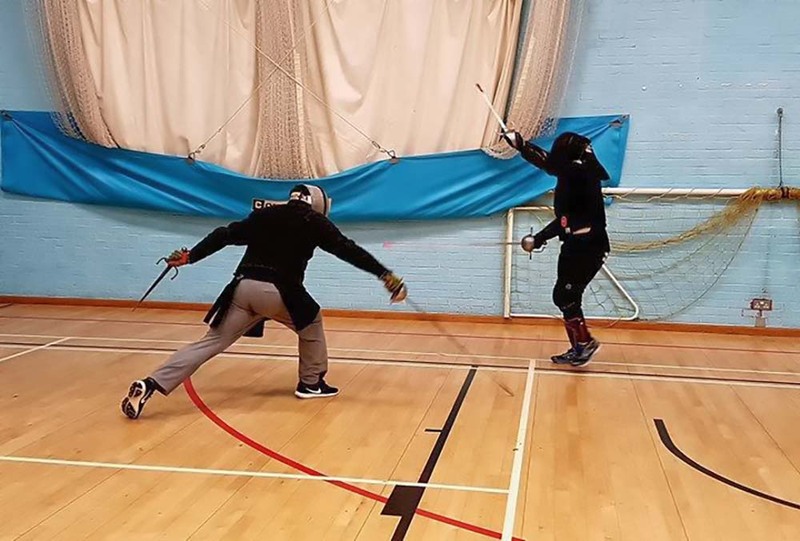 Meanwhile the studenti took advantage of a sparring night to get in some practise ahead of a number of tournaments as well as try out things they have learnt in training. 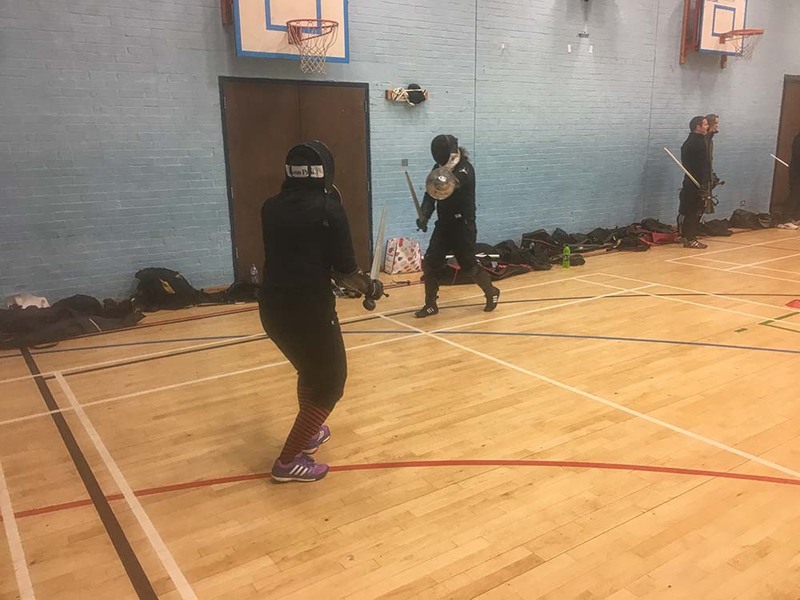 Sunday sparring was in Hawley this past Sunday, with a large turnout of students. 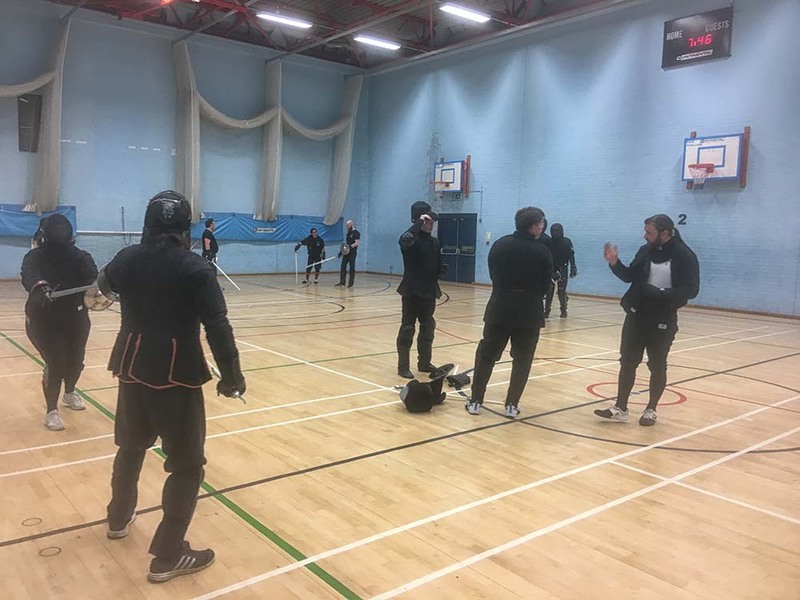 Students gathered in Reading for our regular Monday night training session.